He literally struck gold and ended up penniless. You know who got fabulously wealthy though? The businessmen who sold the basic tools needed to find and extract the gold. Investing in “who sells the basics” requires you to buy stocks that will never make the front page of The Wall Street Journal. For example, Google (GOOG) is famous for turning the search engine into a $120-billion-a-year business. Along the way it handed investors 1,900% gains. But without keyboards, mice, and screens… the search engine wouldn’t have taken off. 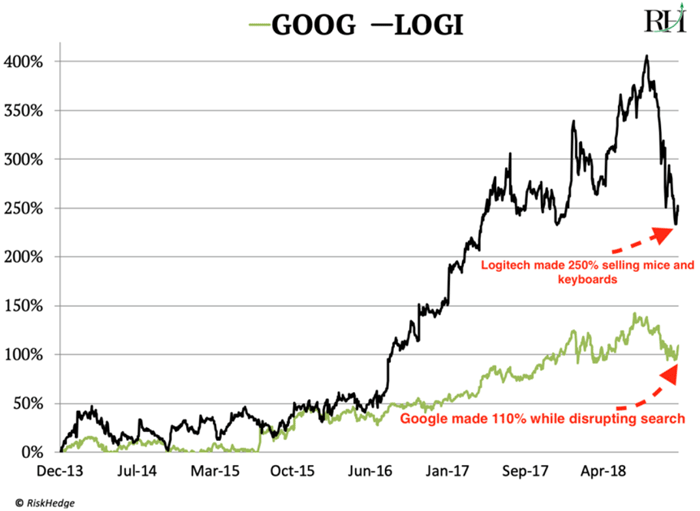 Logitech (LOGI) is a leading maker of this “basic” equipment. We talked about the lightning-fast Fifth Generation Wireless Technology (5G) recently. In short, 5G is the new wireless network all our phones and computers will soon run on. It will be superfast—with speeds up to 20 gigabytes per second. That’s 1,000x faster than what we have today. It’s important to understand that 5G isn’t a small improvement. It’s a huge leap that will enable world-changing disruptions like self-driving cars and remote surgery. Launching 5G will require the biggest overhaul of America’s wireless networks EVER. According to the GSM Association, which represents 800 of the world’s largest mobile operators, it’ll cost roughly half a trillion dollars to build out the necessary infrastructure! The first wave of dollars will flow straight into the basics that enable 5G. Superfast speeds are a key benefit of 5G. But just as important is the HUGE improvement in the amount of data that can run through a 5G network. Think about a cell network like a highway. The more lanes it has, the more traffic it can handle. 5G is going to widen the wireless “highway” by around 100x from what we have today. This is crucial because new technologies will require far more data than current 4G networks can handle. For example, according to Intel (INTC), a single self-driving car uses roughly 4,000 GB a day. That’s like downloading 1,000 HD movies a day—per car! To expand 5G’s “highway” network providers like Sprint (S) and AT&T (T) are using something called Multiple Input, Multiple Output—or MIMO. MIMO involves packing more antennas onto cell towers­. Each antenna acts like a new highway lane, allowing the network to handle more traffic. 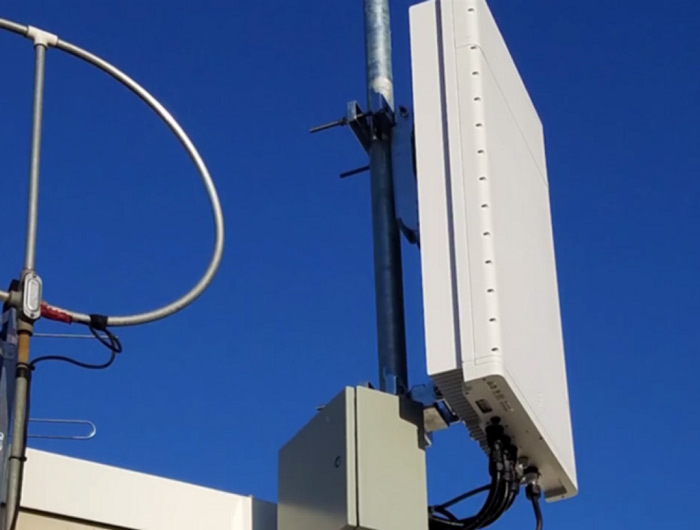 Using MIMO, Sprint increased 5G’s capacity by 300%. Demand for MIMO is expected to explode by 1,500% over the next eight years, according to ResearchandMarkets.com. Here’s a picture of a MIMO box in Seattle. Although it looks basic, each box houses roughly 1,000 antennas. And a large cell tower might house 50 boxes. Computer chip maker Xilinx (XLNX) builds the “brain” of these MIMO boxes. Computer chips are the “brains” of electronic devices like smartphones and computers. Xilinx is the leading maker of a type of chip called field-programmable gate array (FPGA). Think of them as powerful blank canvases that can be used for many different tasks. For example, Amazon (AMZN) and Google use Xilinx’s chips in their giant data centers. The U.S. Air Force uses them for its drones. The key advantage of Xilinx chips is they are adjustable. You can change them to perform a brand-new task, or optimize an existing one. Most other chips are built for a specific purpose and aren’t adjustable. This gives Xilinx a huge competitive advantage for 5G. 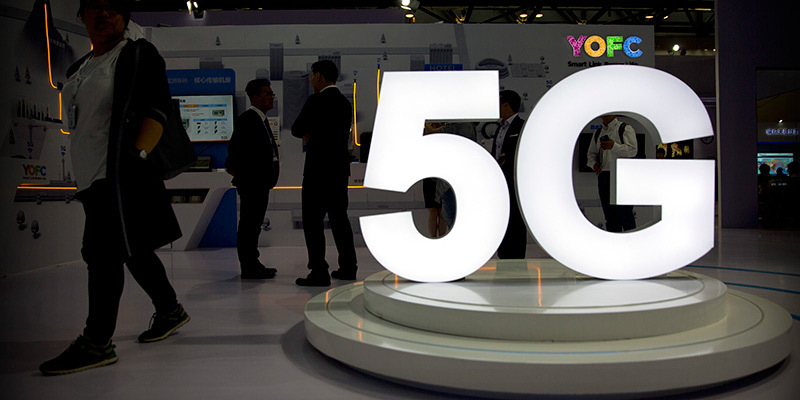 Network providers like Sprint, AT&T, and Verizon (VZ) are figuring out how 5G works as they build it. For the most part industry standards haven’t been set. Things are constantly changing… which requires the equipment to change along with it. Several wireless carriers in America and South Korea are already using Xilinx’s chips in their 5G rollouts. Using Xilinx chips, one carrier was able to slash the energy use of its MIMO boxes in half. It also reduced the number of chips inside each from 24 to 4. Xilinx is already collecting checks from the 5G buildout. It charges roughly $40,000 for each chip inside a MIMO box. Last quarter sales from this business line jumped 33% to $260 million—thanks mostly to the early 5G rollouts in America and South Korea I mentioned. Xilinx is a profitable, well-run business. Over the past year its profits soared 24% to an all-time high. And not only are its margins at record highs—they’re 3x better than the industry average. 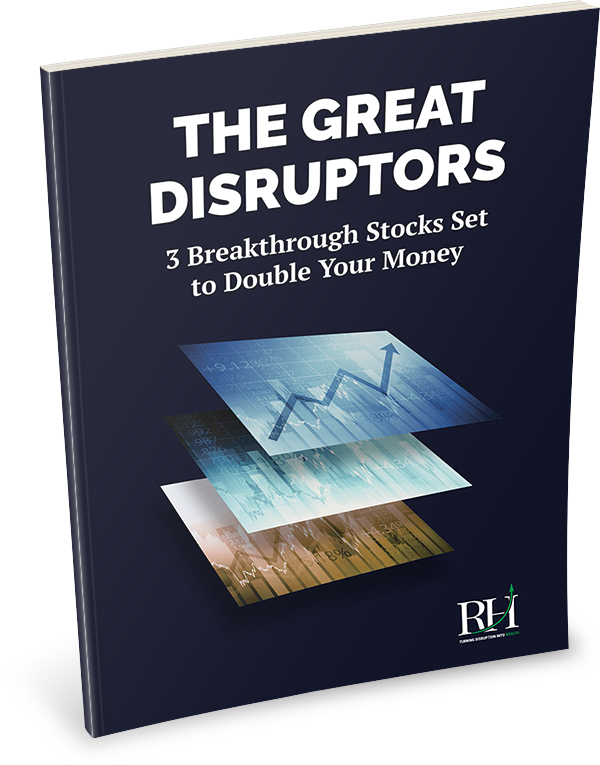 Disruptive companies must hit a delicate balance between growth and profitability. To achieve record highs in both at the same time is impressive. Xilinx is trading at $92 today. My research suggests the stock could hit $130 in the next 12 months as it starts collecting bigger checks from the 5G buildout. I’ve said it before and I’ll say it again: “The Great Upgrade” to 5G is one of the greatest booms in American history. Best of all, it’s just getting started. We’re in the initial infrastructure buildout phase. Now’s the time to get in early on companies that “build the basics” to bring 5G to all of America. Wireless carriers have started upgrading to 5G in several American cities. Are you on 5G yet? Tell me at stephen@riskhedge.com. After reading our Great Disruptors special report, RiskHedge reader Spindrift wrote me with a question about 5G. I thoroughly enjoyed this report which is clearly representative of the areas of current disruption. My only concern is that your report fails to mention that China is already using 5G and is clearly ahead of the US in this space. I would be grateful for your thoughts. Spindrift, I’m glad you enjoyed the report. It’s true that China is pouring billions into 5G. According to “Big 4” accounting firm Deloitte, China has outspent the US by $24 billion in 5G infrastructure. So far, it has built roughly 10 times more small cell towers than the US. China does not plan to launch any 5G services until the second half of 2019. But the key thing to know is 5G is not a winner-take-all game. Both America and China will have it, just like they both have 4G. And because America’s financial markets are more developed, transparent, and trustworthy than China’s, most of the best investment opportunities are in the American businesses pushing 5G forward.